Football began at Holy Cross in 1884 with games against teams from other schools beginning in 1891. Starting in 1896 the Holy Cross Football team played at the Worcester Oval. 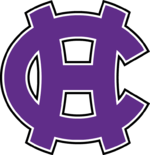 The first home game played at Holy Cross was a 6–0 defeat of Massachusetts Agricultural College on September 26, 1903. In 1908, the football field was moved to next to the baseball field which bears the same name (Fitton Field). Since 1910, the Holy Cross Crusader "Goodtime" Marching Band has performed half time shows at home football games. The original field was built with wooden and concrete stands. These were replaced with steel stands in 1924 and aluminum seating in 1986. The largest crowd ever to pack Fitton Field was the 27,000 who showed up to see Holy Cross's All-American back Bill Osmanski in his last home game in 1938. In 1896, Holy Cross and Boston College played the first football game between the two schools, starting the Boston College–Holy Cross football rivalry. For much of the early to mid 20th century, BC and The Cross drew some of New England's largest sports crowds. To accommodate larger crowds, the Holy Cross game was routinely held at larger venues off campus, with the 1916 matchup taking place at the newly constructed Fenway Park. A record 54,000 attended the 1922 game at Braves Field, home of the Boston Braves baseball team. On November 28, 1942, Holy Cross beat BC in a huge upset 55–12. The game is still the most famous between the two foes, not only for its result (which spoiled BC's undefeated season) but also its aftermath. The Eagles had booked their victory party that night at the popular Cocoanut Grove nightclub in Boston, but canceled after the loss. As a result, the BC team was absent when the club caught fire, killing nearly 500. But fortune did not always favor the Crusaders, and the series was suspended in 1986 after BC had won 17 games over a 20 year span. After an over three decade hiatus, the series will resume in 2018 as Holy Cross once again travels to Chestnut Hill to take on Boston College. The series will continue into the future, with a rematch already scheduled for 2020. In 1946 Holy Cross brought their best team in school history to the Orange Bowl only to feel the heartbreak they gave BC four years earlier. On January 1, 1946, Holy Cross faced off against the University of Miami for the Orange Bowl title. With the score tied 6–6 and only seconds remaining in regulation, Holy Cross was intercepted by Miami's Al Hudson who ran the ball 89 yards for a touchdown. The final score was 13–6. In 1969, Holy Cross had to cancel the final eight games of the season when a contaminated faucet on a practice field led to an outbreak of hepatitis. Through the 1970s Holy Cross continued to play major East Coast football powers but the Crusaders football program struggled to compete with the bigger schools. Holy Cross enjoyed a football renaissance for a decade starting in 1981 with coaches Rick E. Carter (35–19–2) and especially Mark Duffner (60–5–1). In 1983 the team was No. 3 in the nation in I-AA under Carter. Later under Duffner Holy Cross became the nation's most successful I-AA program. There were 11–0 seasons in both 1987 and 1991. Holy Cross won five Colonial/Patriot League championships, four Lambert Cups, and four ECAC Team of the Year Awards. It also earned the No. 1 ranking in the final 1987 NCAA Division I-AA poll. In 1987 running back/defensive back Gordie Lockbaum finished third in the Heisman Trophy balloting. In the midst of these winning seasons Holy Cross changed the direction of its football program. In 1986 it joined the Colonial League, a football-only conference that adopted the Ivy League model of need-based financial aid and grants rather than formal athletic scholarships. In 1990, the Colonial League became an all-sports conference and changed its name to the Patriot League; over time, it began allowing scholarships in non-football sports (with the recipients ineligible to play football), but continued to prohibit football scholarships through the 2012 season. In 2013, much to the delight of alumni and fans, the Patriot League transitioned back to traditional scholarship football. As parts of its resurgence, Holy Cross will take on Boston College, Syracuse, Navy, and UConn in upcoming seasons, in addition to perennial foes Yale, Dartmouth, and New Hampshire, and will continue the series against Harvard, it's longtime local rival. In 2016 Holy Cross travels to vaunted Yankee Stadium where it will host longtime opponent Fordham for the annual Ram-Crusader Cup. Unique among small, highly selective northeastern colleges, Holy Cross continues a proud and storied tradition of Division 1 scholarship football. In 2009, Holy Cross had one of its best teams since the founding of the Patriot League, led by the team's star Quarterback Dominic Randolph. The Crusaders won the league title and earned an automatic berth to the FCS playoffs, where they lost in the first round to eventual national champion Villanova. The Crusaders have appeared in the FCS playoffs two times with an overall record of 0–2. ↑ College of the Holy Cross Identity Standards and Guidelines (PDF). Retrieved 2016-04-08.